Thanks to everyone who left a comment on my last post! You all suggested some wonderful activities for me do with little miss Chloe! I checked out our local library and they have baby story time every Tuesday, I really think Chloe's going to have a lot of fun doing that every week! I'm also going to start taking Chloe on more walks and hopefully soon get her in a baby gym class! I'm so excited to start incorporating some new activities into our day. There is nothing I love more then seeing my baby happy and excited! 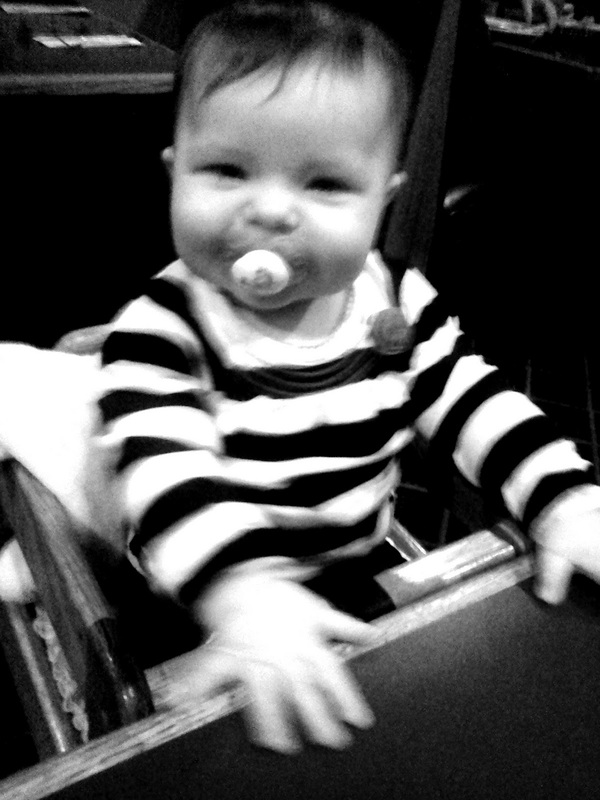 Yesterday evening the three of us went out to a Mexican restaurant for dinner, this was Chloe's first time sitting in a highchair at a restaurant, she loved it and had so much sitting like a big girl! Sometimes I cant believe how fast she's growing up!